SOUTH DAKOTA SOIL HEALTH COALITION (SDSHC), Pierre, S.D. February 25, 2019- Winners of both the annual "Friend of Soil Health" and first ever "Legacy Award" were announced at the 2019 South Dakota Soil Health Coalition (SDSHC) soil health conference and annual meeting. 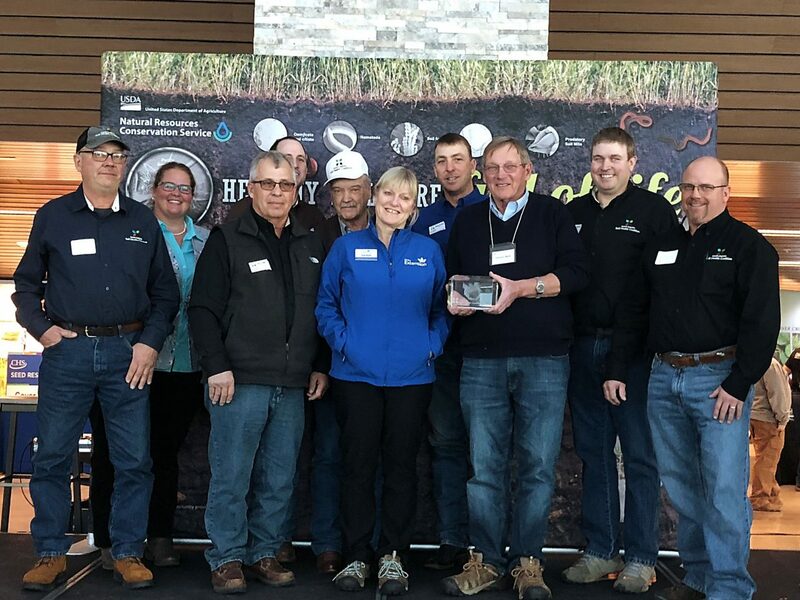 The "Friend of Soil Health" award was created to recognize those who have made a substantial and lasting impact in the areas of soil health education and advocacy. The 2019 winners of this award were Ruth Beck, South Dakota State University (SDSU) Extension Agronomy Field Specialist, and Dwayne Beck, Dakota Lakes Research Farm Manager. Chosen for their many, many years of work in education and research they have impacted countless numbers of individuals. "The Becks will always have a legacy of promoting the adoption of no-till, diversity, and cover crops, for the betterment of the soils not only in the United States but worldwide" Levi Neuharth, SDSHC Board Member. The SDSHC "Legacy Award" was created to honor past board member Al Miron who passed away suddenly in November of 2017. He was often heard imparting the wisdom that "the best place to stop erosion is at the top of the hill, not at the bottom" and left behind a lifelong legacy of conservation and commitment to increasing soil health. 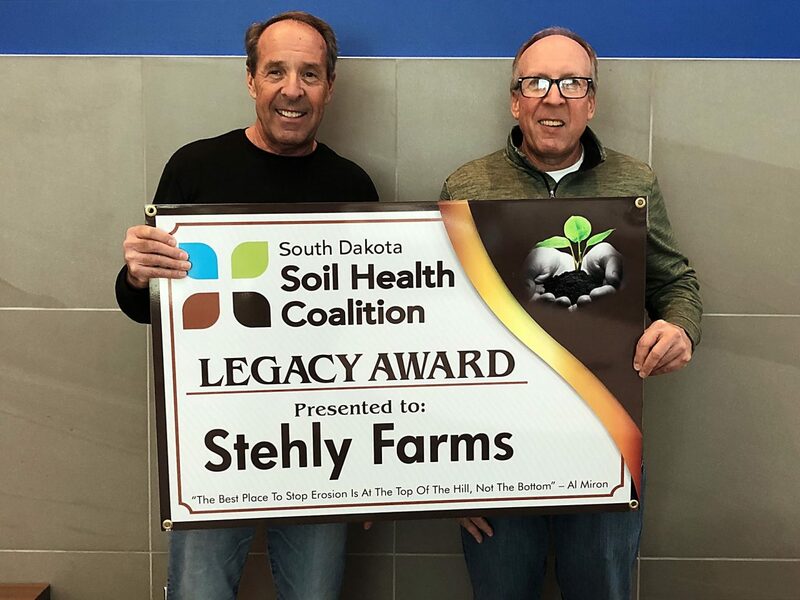 Craig and Gene Stehly were honored as the first recipients of this award for their work to improve soil health and water quality on their farm near Mitchell, SD. The brothers, who have been partners in the operation since the early 1980's, utilize a systems approach which includes the use of no-till, crop rotation, cover crops, and the planting of native grasses and pollinator friendly plants in sensitive areas. All four of these award winners are making a real difference both within the State of South Dakota and beyond. Their work educating, advocating, and implementing soil health practices on the land is helping to protect, preserve and rejuvenate one of the most important resources we have available to us, our soil. For more information and to view recordings of conference keynote speakers please visit http://www.sdsoilhealthcoalition.org.